My family has been begging me to try making grilled pizza. 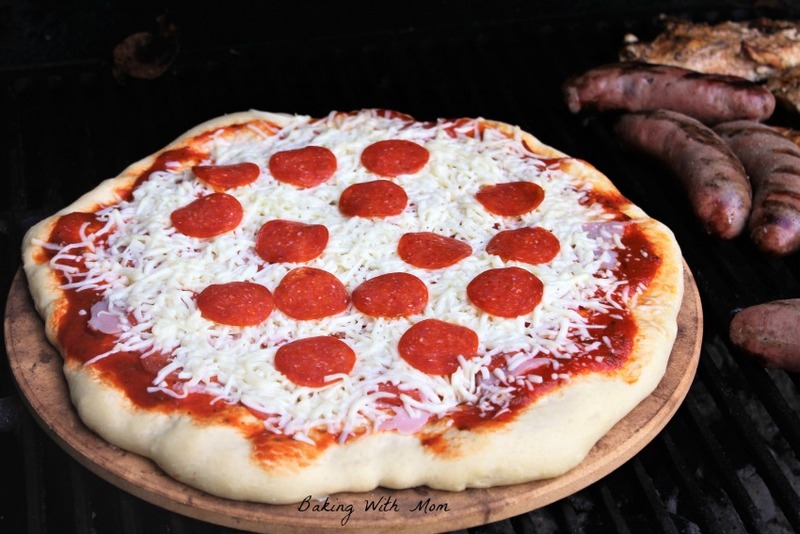 Grilling pizza on a stone is not hard at all and the smokey taste is delicious! *This site uses affiliate links. If you click on a link and make a purchase, I will receive a small commission at no additional cost to you. You can read our disclosure here. The crust is crisp, the cheese has a smokey flavor and is melted to perfection. Yes, that is what grilling pizza on a stone is all about. As I mentioned above, my family had heard about grilled pizza before and really, really wanted me to try to make it. Always wanting to please my family, I agreed. After all, I was already grilling brats I had gotten on sale Krogers. I also had chicken ready to grill as well. Might as well throw a pizza on there too! (Why not?!?) I use a stone I had gotten a while back but didn’t fully appreciate the stone until recently. Have you ever made a pizza in the oven with it? They aren’t expensive to buy and they make the crust crisp and fluffy (can pizza crusts be fluffy??) and yum. That is a technical baking term, yum. 😉 You can see a pizza stone here. 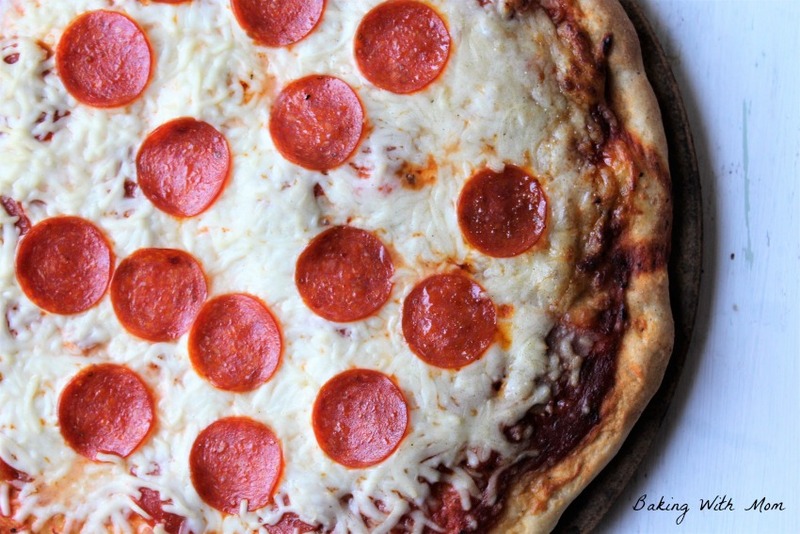 You don’t need a particular pizza crust recipe, you can use your favorite one. The one I use will be listed below. (The recipe is enough for two crusts.) This pizza is a ham and pepperoni pizza which was delicious. (Pineapple would have been wonderful on it as well!) Chose your favorite pizza sauce, top with toppings and mozzarella cheese. :: I have a charcoal grill so I can only speak to that. Make sure the coals are nice and hot. Don’t put the pizza in the grill until you have great heat going, at the least 300*. :: Make sure you let the stone heat up in your oven first or on the grill with nothing on it. :: Use cornmeal on top of the stone. That will help the pizza not to stick. :: After the cornmeal, spread dough on top of stone. 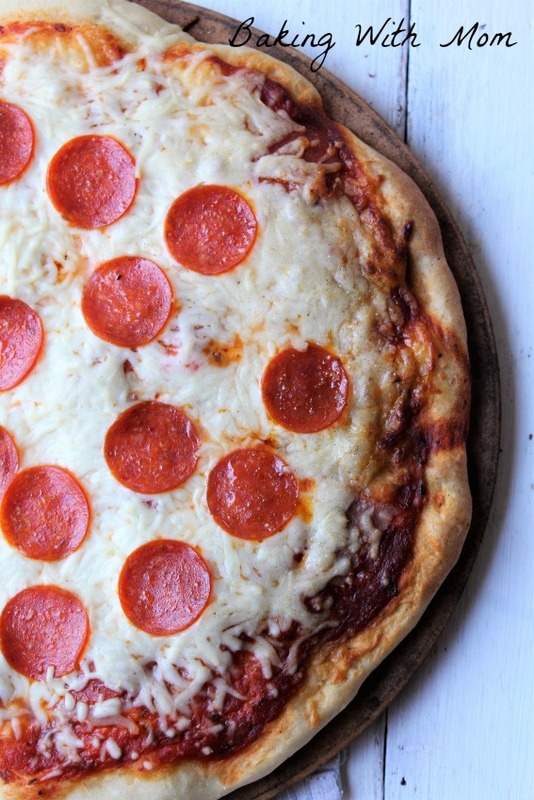 **Since stone is hot, roll the dough out on another pizza pan or countertop. Transfer dough onto stone carefully. :: Add desired toppings. Place stone carefully on grill. :: Check the pizza after about 7 minutes. That will determine how much longer it will need to cook. The pizza I made took about 15 minutes. 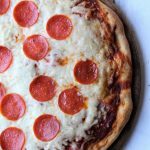 Recipe for homemade pizza crust. This recipe makes two crusts. Grilling pizza on a stone. 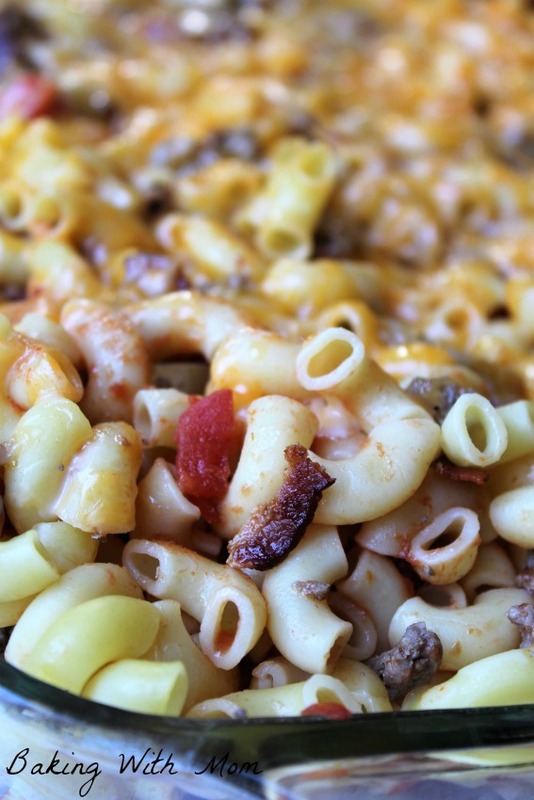 Delicious supper recipes at Baking With Mom!